The Dell Studio XPS 1640 brings a few of its own innovations to the table. We've not seen many 16in LCDs out there, and while we're not about to proclaim that it's the perfect fit for a laptop – this is a heavy package – it's certainly a luxurious size. The version we tested was the standard model; you can upgrade to a posh 100 per cent colour gamut 1080p RGB LED screen. 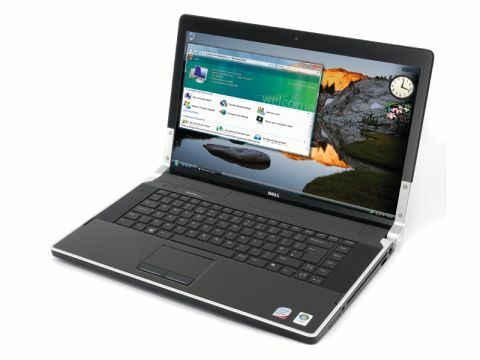 Performance-wise, the 1640 hovers around the top of the line for standard laptops. The Core 2 Duo processor works harmoniously with the Mobility Radeon HD 3670 graphics to create a machine that handles Vista gaming nicely. It's not a mega-laptop, though, so don't expect miracles. Overall, it's not quite as thin and it's decidedly more heavy, but there's not really any question: Dell's Studio XPS line fits in with the MacBooks and the Vaios of this world. We hope Dell continues to concentrate on design, because it does a good – if slightly derivative – job.